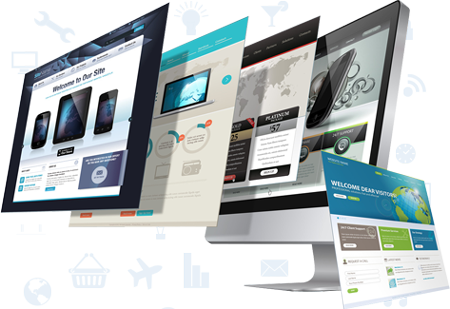 Our customers we offer clear and effective website design, to suit your style. We have the talent, experience and capability to custom-design and develop websites to suit the specific requirements of all kinds of customers in a variety of businesses. For the development of WordPress pages, we use preconfigured components such as themes and plugins. How is it harmoniously integrated into the external appearance? What kind of content already exists, what should be developed? Is the website connected to social networks? If necessary, we will provide you with the right expertise from our newsblog. Our customers we offer clear and effective Website Design, to suit your style. We have the talent, experience and capability to custom-design and develop websites to suit the specific requirements of all kinds of customers in a variety of businesses. We design our sites using Dreamweaver, Fireworks, Flash and Photoshop. WordPress is a good option if you want to improve your existing websites. WordPress is a powerful open source framework based on PHP and MySQL. With WordPress, you can easily integrate with third-party applications to increase the productivity and efficiency of your web pages. Capture media offers a wide range of integration solutions for your websites. Websites are now a become an indispensable part of any business. Today exist a plethora of websites, to woo prospective customers. In order to stay ahead, it is essential to have a dynamic, highly-interactive and at the same time visually appealing websites. We at capture Group, develop exceptional websites for our clients, that help stay competitive. We are specialize in creating diverse kinds of websites including dynamic and static websites keeping in mind specific requirements our clients. Our web project management service will allow you to advertise your products in a cost effective manner. We help our clients in improving their web traffic, increasing conversion rates of their e-commerce websites and the boosting sales + revenues. If you need to change your website frequently, you should consider a CMS website instead of a static website. A Content Management System (CMS) Website allows for you or your partners/employees to add and edit content on your website from an administrative panel which is secured with a password. These systems are useful because you do not need HTML training in order to add new pages or to edit or delete content for your site. We create custom CMS platforms for clients that need a specifically tailored solution for a website or web-based system. Some of the noteworthy benefits that we offer along with our custom CMS Services include the following. Which website design do you prefer?